I love poring over maps. No doubt it beats actually travelling to some of these places. A page like this is a kind of divining mechanism, a reading of the tea leaves. Since drawing this (Denmark 2000) I’ve seen crazy Irish skies, had endless conversations in London, been to Poland and had an open invitation to Hamburg. Riga next: study trip March 2012. And if the money runs out, I’ll study Welsh insects. 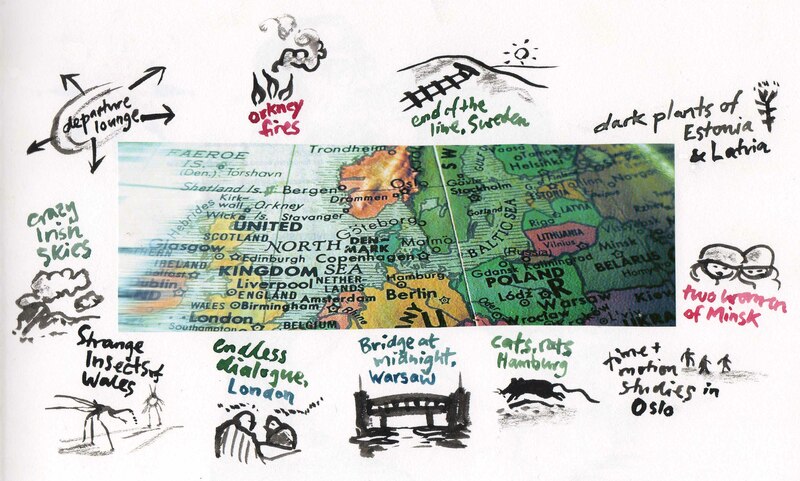 how fabulous – I love staring at maps too but your illustrations make it even more enjoyable.